* Total number of reviews and star-ratings are based on data collected during the time period Holley Heating and Air has been using the ReviewBuzz system and may not directly match the data found on each public review site. Quick, efficient, knowledgeable, and friendly service! Arrived on time and got my ac issues resolved in no time. Great job. I couldn't ask for better service. **** was very professional and knew his job well. He was on time, very efficient. Explained everything he did and ask if I had any questions or concerns. Professional & courteous. Knowledgeable. On time (actually a little early), but phone ahead to be sure it was OK to be early. Jesus was a great help! Very professional, fixed the problem quickly and arranged for a good and fair solution! Thank you, Jesus! Travis arrived quickly . . . He determined what was wrong and gave me options to get my issue fixed. He was very friendly and helpful even though it was past quitting time. He went above and beyond in every way! ****** came and checked out our HVAC this morning. He was polite, introduced himself, explained why he was here, and went right to work, changing filters and then checking outside. After completing his check and cleaning all parts, he hosed the unit down until it shined like new. Then he put everything back in place. Friendly young man and excellent service as always. Thank you, Holley Heating & Air. 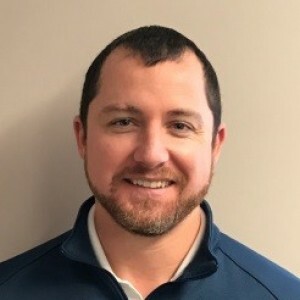 I recently had Taylor Boen perform maintenance on our HVAC system and was extremely pleased with his work and friendly attitude. I recommend Holley and Taylor for your HVAC systems. TAYLOR BOEN WAS VERY PROFESSIONAL AND EFFICIENT. VERYKNOWLEDGEABLE AND SHOULD BE COMMENDED. BBB's website timed out on my attempt to verify my posting and proof I'm not a robot. Then the site would not respond to my 2nd attempt at verification. Review was posted yesterday but this is roughly what it said. 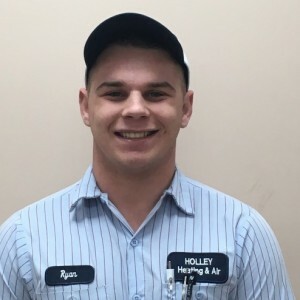 Holley Heating and Air is a great company. My technician was very professional, friendly and knowledgeable. He did an excellent job on my 2 units. 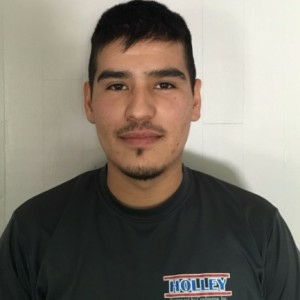 Personnel from Holley Heating and Air have been exceptional and Taylor is excellent. Definitely 5-Stars for this young man! This was Evans first visit. He checked and cleaned both the main 4 ton unit and the smaller split unit for the bonus room. He was very thorough. He also checked the duct work beneath the house and found a few leaks that will need to be repaired. Overall, we were very pleased with his work. It is a pleasure to deal with people like Travis. Enjoyed talking to him and got a full review of the work he was doing, and the condition of my air conditioning units. 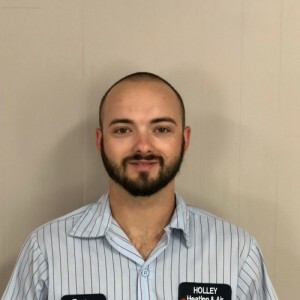 Customer service is always a top priority at Holley Heating and Air. Our BBB Membership A+ rating is like a badge of honor as we continuously strive to provide the best experience for our clients.